﻿ teleprompter app | Cowgirl App! Welcome to the app review site that doesn't smell like Doritos and armpits. You can read about us and our activities promoting women in tech, check out our FAQ and suggest an app for us to review! 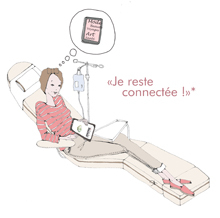 Help get iPads to women in chemo for breast cancer. We're ladies. We don't share your e-mail address. Promise. There's more to Cowgirl App! than reviews. Stop by the Tumbleweed Saloon and see! © 2019 Cowgirl App!. Design: Vincent Knobil based on Ari by Elmastudio. Powered by WordPress.